Around 360 tons of subsidized fertilizers are distributed to a number of agricultural lands in Jakarta.
" We give 150 tons of UREA fertilizer, 100 tons of organic fertilizer, 40 tons of SP-36 fertilizer, and 70 tons of NPK fertilizer"
"We give 150 tons of UREA fertilizer, 100 tons of organic fertilizer, 40 tons of SP-36 fertilizer, and 70 tons of NPK fertilizer," expressed Darjamuni, Head of Jakarta Maritime, Agriculture and Food Security Dept., Wednesday (5/30). He ensures it has been based on Agriculture Minister Regulation number 47/2017 on Allocation and Highest Retail Price of Subsidized Fertilizer for Agricultural Sector of 2018 APBD. 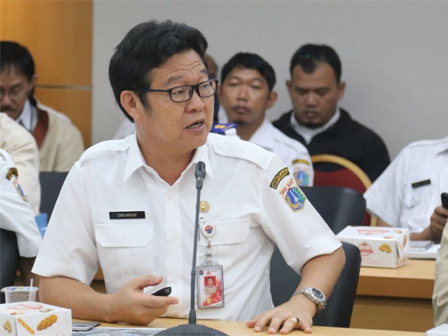 According to him, it is temporarily dedicated to municipalities that still have rice fields, such as West Jakarta, East Jakarta and North Jakarta. He hoped it could be executed in accordance with the Group's Definitive Needs Plan (RDKK) that has been made in each region. It is also to support increased productivity and production of agricultural commodities in Jakarta. "We also appeal to producers, distributors, retailers of fertilizer and validation verification officers to coordinate and monitor the execution of this program," he said.